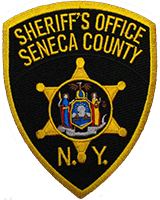 The Seneca County Sheriff’s Office reports on November 5, 2018 at approximately 5:00pm, Investigators arrested an inmate of the Correctional Facility, 26 year old, Elliot Flores. Flores was charged with Aggravated Harassment of an Employee by an Inmate, a Class E Felony. It is alleged that Flores intentionally spit blood directly in the face of a male Corrections Officer. Flores was arraigned at the Centralized Arraignment where he was turned back over to the Correctional Facility.